We pray that you are all doing well and that YHVH will use you for His glory! but is not physically consummated until the wedding day. Establishing a covenant before the wedding is the very thing God has done with us! He has made a covenant with us by the blood of Yeshua and the wedding is yet to come." 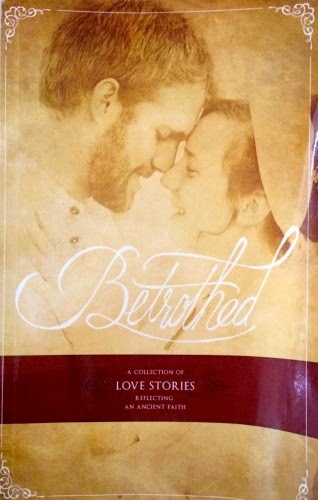 stories of couples that trailblazed an ancient and beautiful way of marriage called betrothal. Yahshua (Jesus) and His spotless Bride. Reading these accounts you enter into a different world. They open up the heart of God for His people. His ways are Holy. "While revealing the details and events surrounding this earthly love story we also attempt to delve deeper into the very heart of an idea that has been all but forgotten by man. A custom so beautiful, so perfect, that God himself created it to illustrate His love for us. It’s more than just a contract…….it’s covenant." May YHVH bless you today and continue to show you His perfect path for your life.